Solicitors see the impact of poor financial decisions every day. Simon Bennett of O’Keefe Mahoney Bennett says the risk often comes from lack of information. “People should be aware of all the details before signing any loan or mortgage documents. “Lending money to family and friends is one of the most risky propositions. Ensuring appropriate documentation is drawn up can cause friction but it is essential to protect the lender and the borrower,” he says. Simon says many people are now looking for private loans because of concerns about interest rates. “That’s fine but people who have money to lend have probably worked hard for it. They need to ensure their money is working hard for them. “A recent report showed the results of numerous interviews with Australian householders. Many people (four times as many as last year) expect some form of mortgage stress by June this year. “Some households will be under severe stress through missed repayments, refinancing or dealing with foreclosure. The report showed even people with excellent assets will suffer from rising interest rates, higher school fees, and share margin calls. 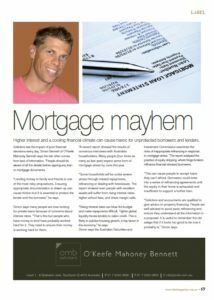 “Rising interest rates can blow the budget and make repayments difficult. Tighter global liquidity forces lenders to ration credit. This is likely to subdue housing growth, a key factor in the economy,” he says. Simon says the Australian Securities and Investment Commission examined the risks of inappropriate refinancing in response to mortgage stress. “The report analysed the practice of equity stripping, where fringe brokers refinance financial stressed borrowers. “This can cause people to accept loans they can’t afford. 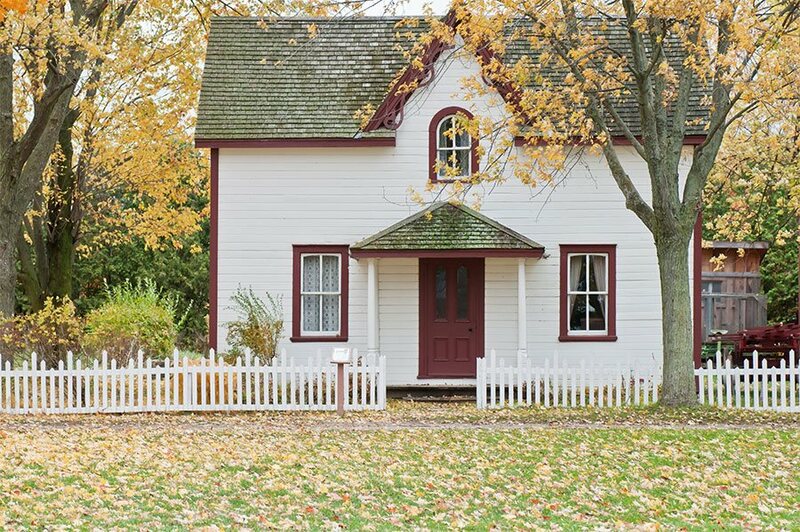 Borrowers could enter into a series of refinancing agreements until the equity in their home is exhausted and insufficient to support a further loan. “Solicitors and accountants are qualified to give advice on property financing. People are well advised to avoid panic refinancing and ensure they understand all the information in a proposal. It is useful to remember the old adage that if it looks too good to be true it probably is,” Simon says.